Weekends 9 a.m. to 4 p.m.
No shaking or baling available during the week. We have pre-cut and cut your own. We shake and bale your tree. Wreaths and tree stands available. We have Balsam Fir, Fraser, White Spruce, Blue Spruce, and White Pine. 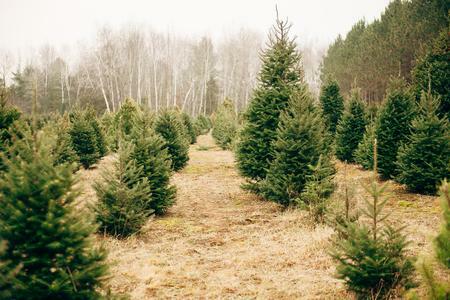 Trees range from $35 to $52 up to 10 feet tall, includes shaking, baling, and tax. We will be having a fundraiser on the tree farm this year for Oconto Area Humane Society and will be selling Vandewalle’s Candy Bars. Please come and help our fur-babies. Thanks in advance. 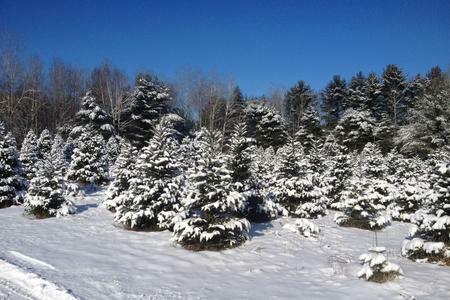 Thank you for your past patronage and hope to see you on the farm to pick out the perfect Christmas Tree. Go Hwy 41 North. Exit on 179, which is Brown Road. Turn left at stop sign and go back over the highway. Turn Right on W. Frontier Road (West Frontage Road). Go two miles to Allen Road. Turn left on Allen Road and go two miles to the farm. Farm is on the left.